18-month old Cecelia Moody, Potsdam, gives Easter eggs to her grandmother during the Easter egg hunt. 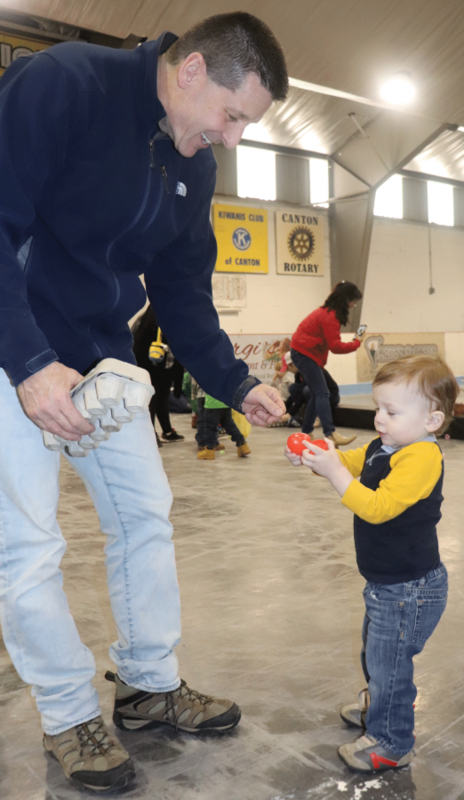 CANTON -- Hundreds of children and parents attended the annual Peter Rabbit Fest in the Canton Pavillion Saturday. The highlight for the children 6 and under was an Easter egg hunt. Attendees could also visit with Peter Rabbit. In addition, there were face painting, cake walk, bowling, and other activities. The event is sponsored by the Canton Chamber of Commerce. North CountryNow photos by Cheryl Shumway. 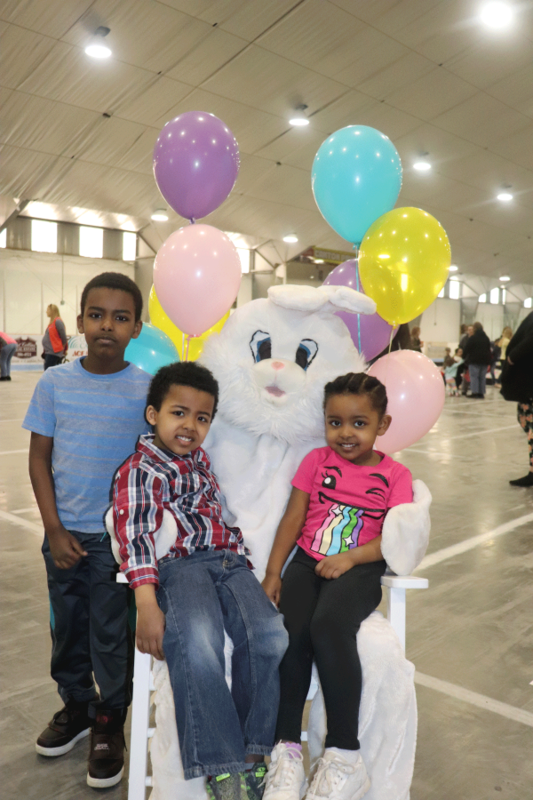 From left, Erko Samuel, Jonathan Dira and Sesa Dira, Ethiopia, pose with the Easter Bunny. 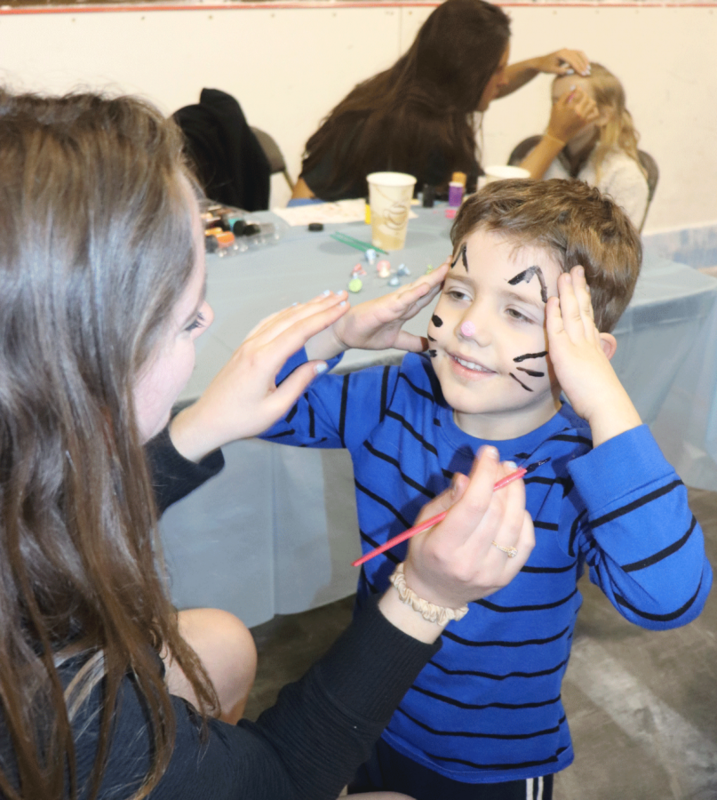 Aaron Locy, Canton, gets his face painted by Megan Kelly, St. Lawrence University volunteer. Christopher Narrow hands Easter eggs to his dad, Edward Narrow, during the Easter egg hunt. 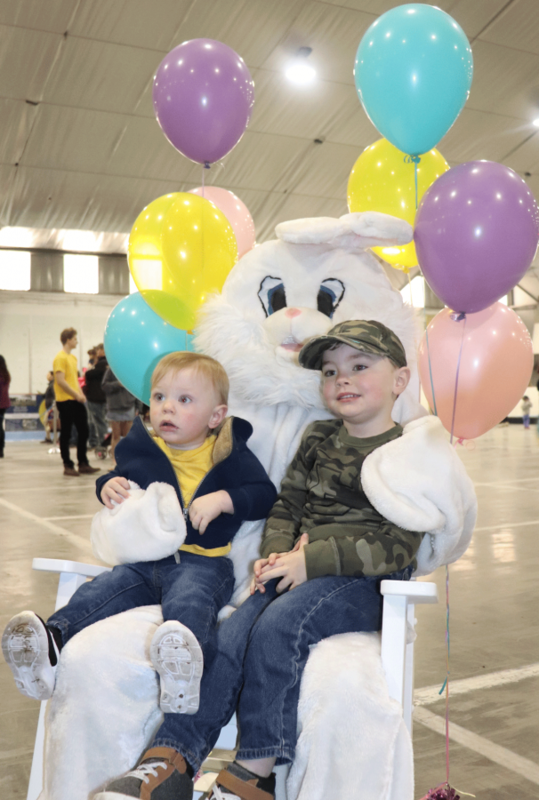 From left, Myles and Brady Warren, Fine, pose with the Easter Bunny. 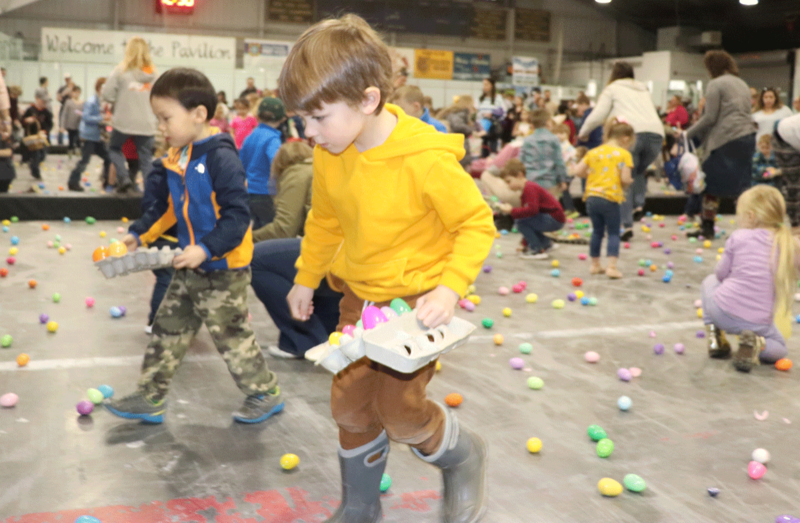 The Peter Rabbit Fest’s annual Easter egg hunt has begun for dozens of children. 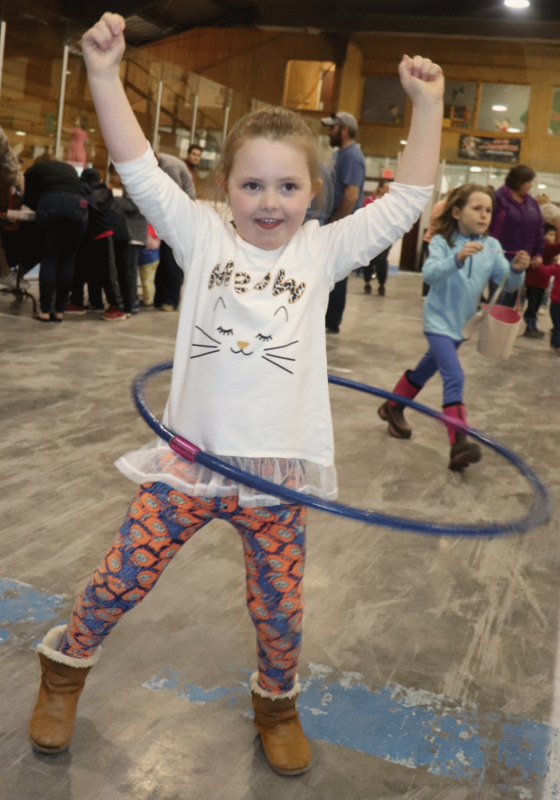 Lynzee Spiak, Rensselaer Falls, practices hula hooping. 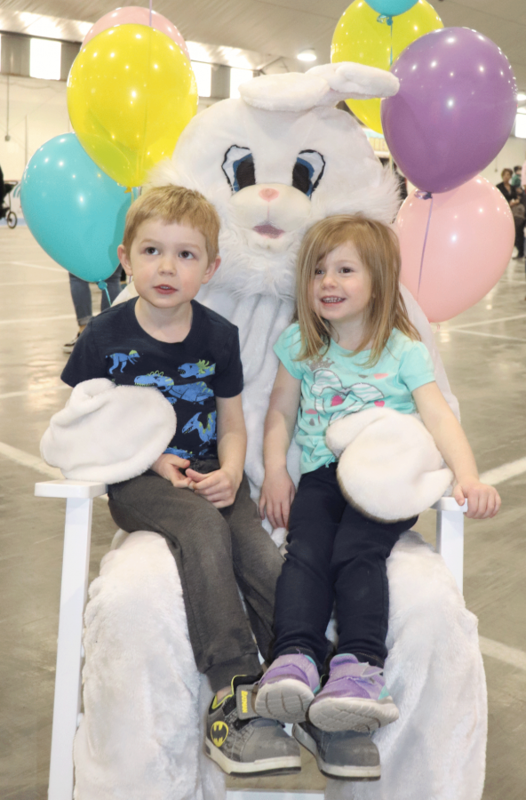 Jacob and Natalie Atkins, Canton, take their picture with the Easter Bunny. 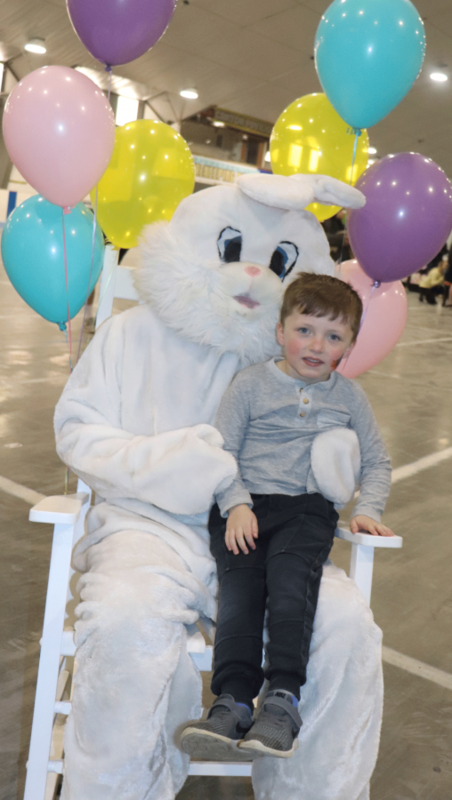 Landon Huntley, Canton, sits with the Easter Bunny.